When you partner with Levison Enterprises, we provide an unmatched support chain for your electronics manufacturing process. 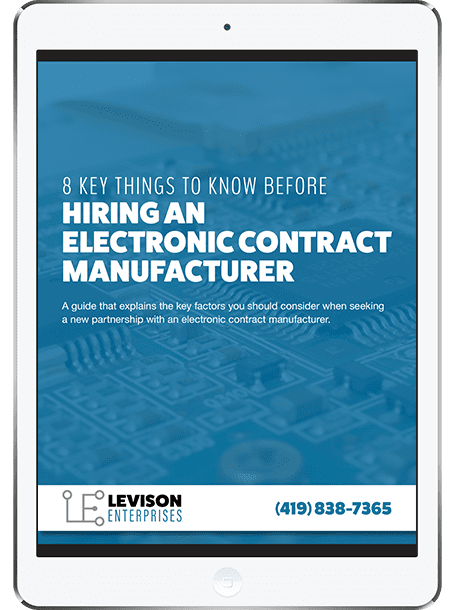 From engineering and design to electronic assembly and supply chain logistics, Levison Enterprises becomes an extension of your team, dedicated to your success. At Levison Enterprises, we have invested time and resources into obtaining and maintaining our quality certifications. We have adopted stringent process systems throughout our entire design and manufacturing operations. Each member of our team takes pride in knowing they have played a part in our process metrics. Through a culture of continuous improvement, we conduct internal and external reviews and audits. We believe that a strong focus on reliability leads to customer satisfaction. The process of hiring a new ECM is never an easy task. We’ve outlined 8 key areas that you should know when vetting your next partner to ensure that you are making the right choice.